Tessa is a research assistant with the ICSRG. She is working on the ‘The Little Things that Run the City’ project. She has a Bachelor of Science (Monash University) with Honours (Deakin University). Her honours thesis entitled ‘The consequences of marine-derived avian nutrient input into island ecosystems: Palaeoecological insights from Rimatara, French Polynesia’ focused on palaeoecology and human impacts on a Pacific Island. 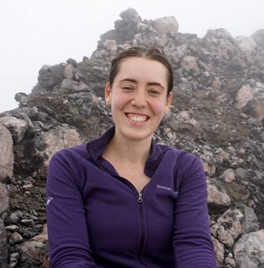 Tessa has teaching experience from Deakin University where she tutored SLE101: Techniques in Environmental Science and SLE102: Physical Geography. She would like to continue pursuing her interests in palaeoecology, ecology, geology and science communication with further study.